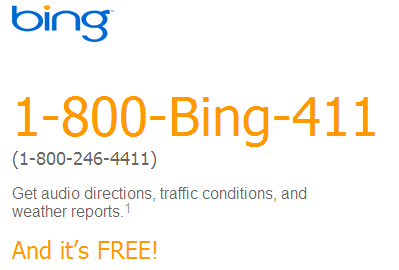 Microsoft Live Search 411 has existed for a while giving healthy competition to Google 411. Both allows you to access local information using 1-800 number. Microsoft newest search engine Bing also comes loaded with brand new Bing 411 service to access local listings and information.